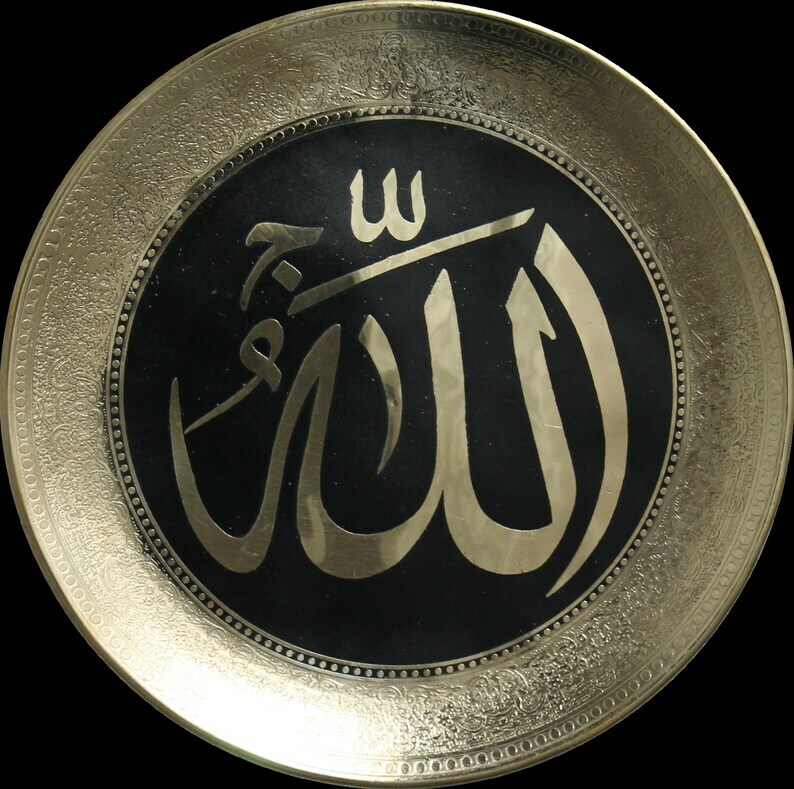 Excellent hand crafted brass plate with Islamic calligraphy and design. Superb and elegant metallic item. Carving on this item is marvelous. Islamic art!